3d models of roller coaster track for the desktop. I have experience with CAD modelling software, so if there is a specific something you want made, contact me. Please note: the models I have for sale are optimised in their size. they are the smallest size the materials will allow without being too fragile whilst saving money on printing costs. Any custom models which are larger will cost significantly more, have to be made in multiple parts and depending on the scale of the project I might charge a consultancy fee. Here is an example of custom work that I can do. 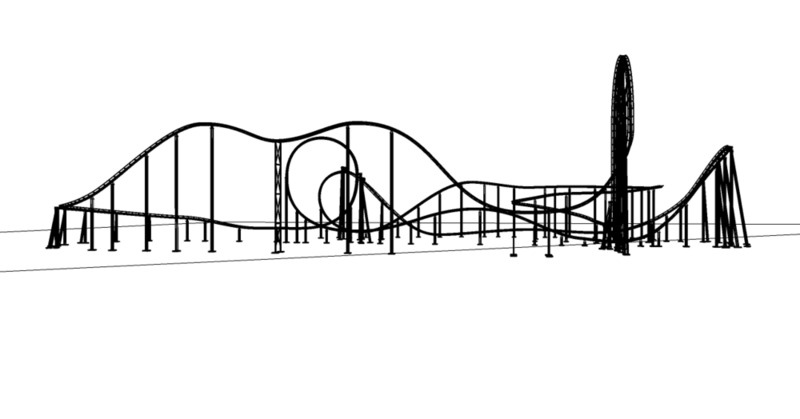 How about a roller coaster heart for your enthusiast sweetheart? All media is owned by Matthew Summers and cannot be used without permission.